Hi. 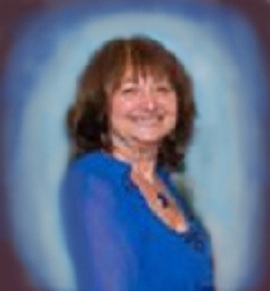 My name is Sherrie Cronin and I am the author of a collection of six speculative fiction novels known as 46. Ascending. Each one of these books is a stand alone story of a person who develops extraordinary powers when forced to deal with danger in their own lives. The books are loosely related because the protagonists of the stories are all family members. This is the blog for Flickers of Fortune, the fifth novel in the collection. Interested in learning more about the first four novels? Please check out my blogs for the novels One of One (Face Painting for World Peace), Shape of Secrets (Fire Dancing for Fun and Profit), Twists of Time (Treasure Hunting for a Good Time) and Layers of Light (Leaving the Nest to Touch the Sky). Book six in the 46. 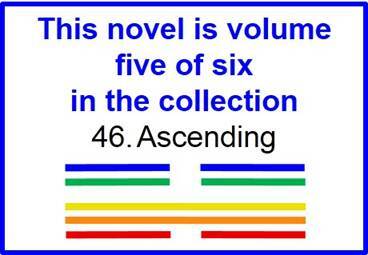 Ascending collection is called One of Two, but it does not yet have its own blog. Please visit my Facebook page Number 46. Ascending. Follow me on Twitter @cinnabar01. Email me at ariel.zeitman (at) gmail.com. I’d love to hear from you! If you have read and enjoyed Flickers of Fortune, please consider leaving a review at Amazon.com,or Goodreads.com. She published her first science fiction short story long ago, and then waited a lot of tables while she looked for inspiration for the next story. When it finally came, it declared to her that it had to be a whole book, nothing less. One night, while digesting this disturbing piece of news, she drank way too many shots of ouzo with her boyfriend. She woke up thirty-one years later demanding to know what was going on. The boyfriend, whom she had apparently long since married, asked her to calm down and explained that in a fit of practicality she had gone back to school and gotten a degree in geophysics and had spent the last 28 years interpreting seismic data in the oil industry. The good news, according to Mr. Cronin, was that she had found it at least mildly entertaining and ridiculously well-paying. The bad news was that the two of them had still managed to spend almost all of the money. Sherrie Cronin discovered that over the ensuing decades Sally Ride had already managed to become the first woman in space and apparently had done a fine job of it. No one, however, had written the book that had been in Sherrie’s head now for years. The only problem was, the book informed her sternly that it had now grown into a collection of six books. Sherrie decided that she better start writing it before it got any longer. She’s been wide awake ever since, and writing away.